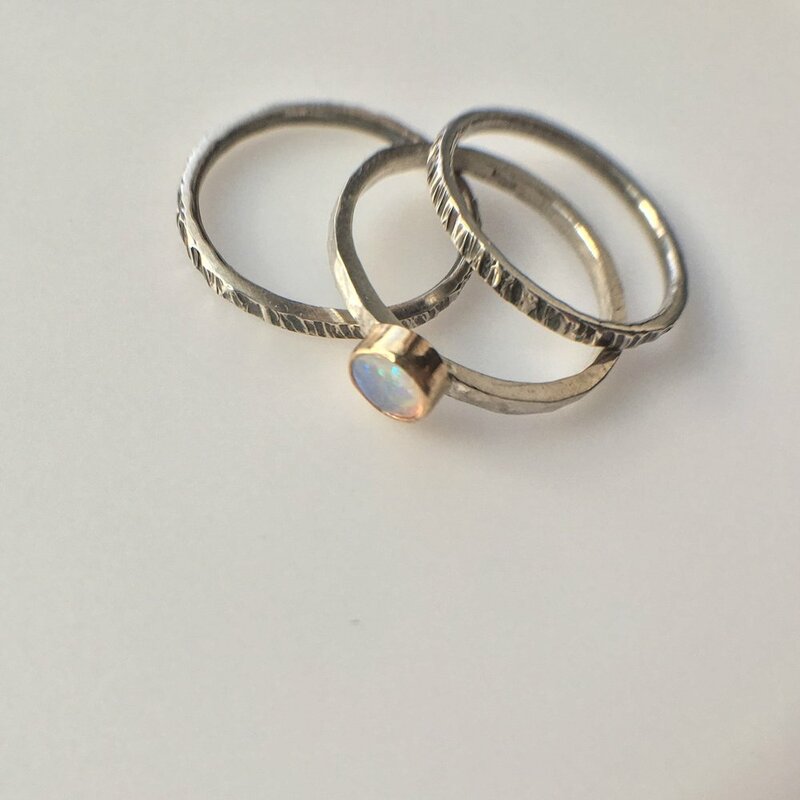 This trio of stacker rings was commissioned to celebrate the birth of my client's baby boy. The three bands are sterling silver, the bezel is yellow gold. A beautiful (mostly blue and green) opal denotes that her son was an October baby.